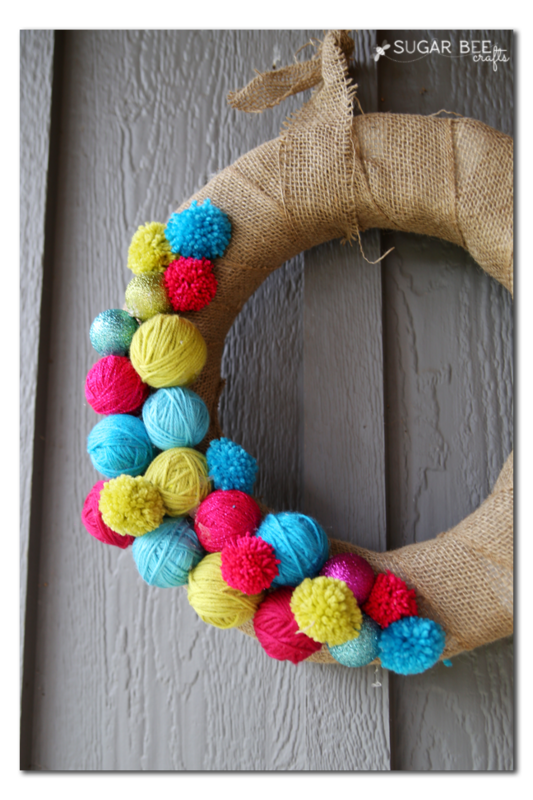 If you’re an avid blog reader, you’ll know that I embraced wreath life several years ago and in doing so, made my favorite wreath of all time, a Yarn Ball Wreath. I still love it! 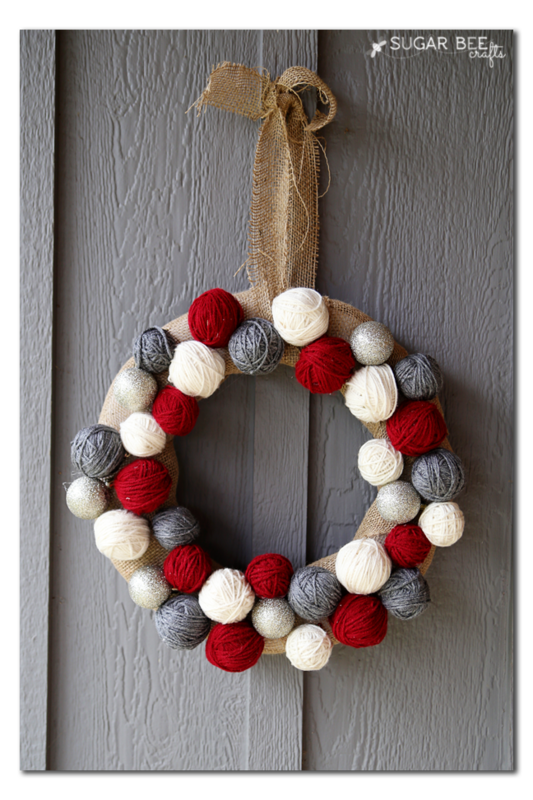 And so when a friend mentioned wanting to make a wreath, I knew just the project we would tackle! So then I thought it’d be fun to make a Craft Club out of the project – so several friends got together to chat and craft and it was awesome. And didn’t all the wreaths turn out amazing – love them all!! 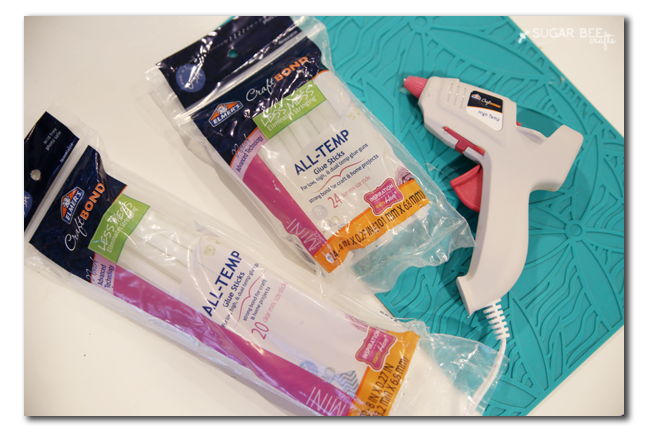 The best part of this project is that we used the new Less Mess Glue sticks from Elmers – YES, Elmer’s is making hot glue – and YES, it’s way less stringy than any I’ve used. 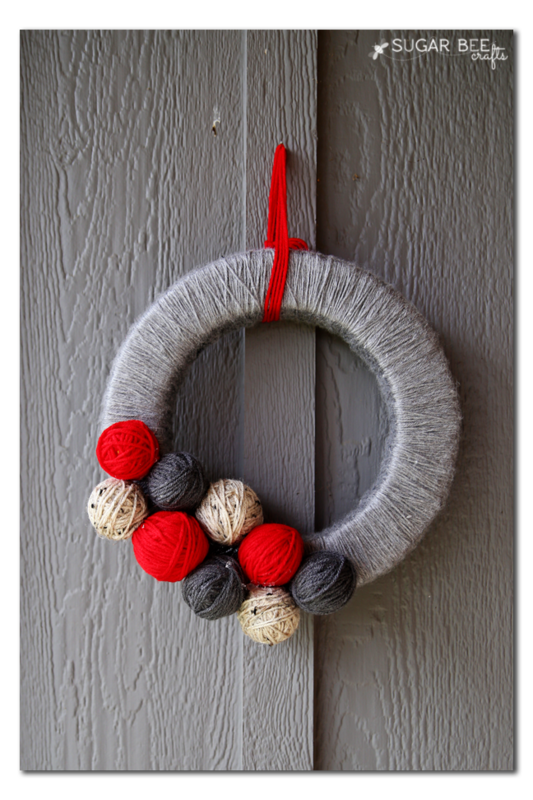 A yarn ball wreath is a big test because there is tons of gluing (like you’ll need a whole pack of glue sticks), and my biggest complaint about making my wreath several years ago was all the glue strings driving me crazy. Well that was not the case this time – we put it to the test, and everyone gave it a thumbs up. 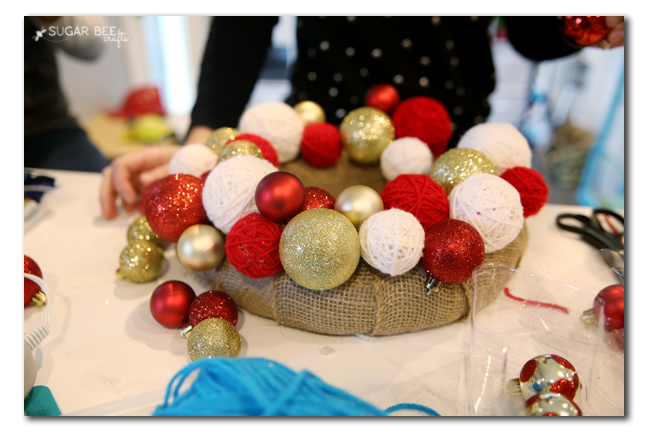 First up, if your wreath form is foam, wrap it in burlap, securing with hot glue as you go. Sorry, I forgot to take pics of that part! 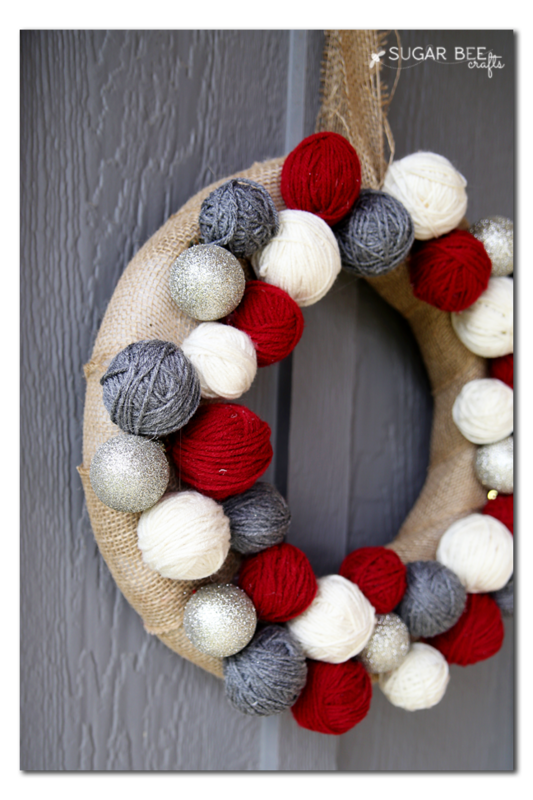 If it’s a different type of wreath form, you may be able to spraypaint it (that’s what I did on my original Yarn Ball Wreath). Then, so as not to waste yarn, the balls aren’t solid yarn. They’re just ornament balls wrapped in yarn. Use hot glue to secure as you wrap. Wrap up a gazillion balls, in various colors and sizes, etc. Then it’s time for assembly! 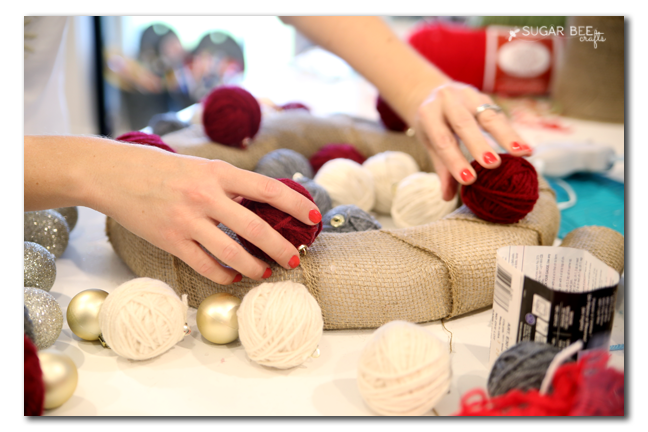 Start with the largest size balls, pick one color, and kind of spread them out. 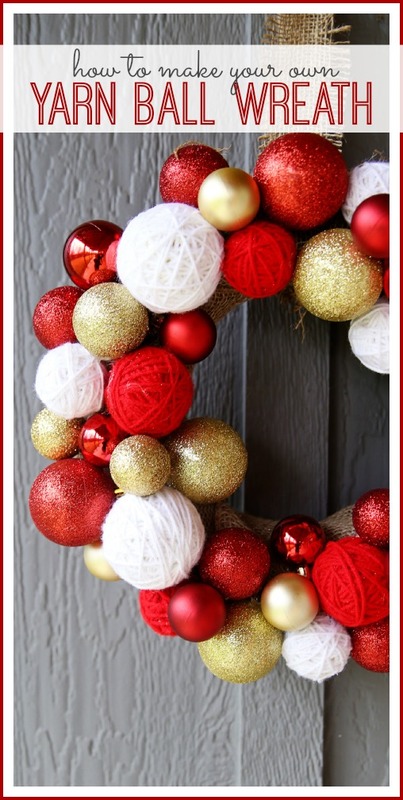 Then just use a good amount of hot glue and attach them to your wreath form. Then start with another color, add them in. Then another. Then add in smaller balls. You can layer and just see what looks best to you. 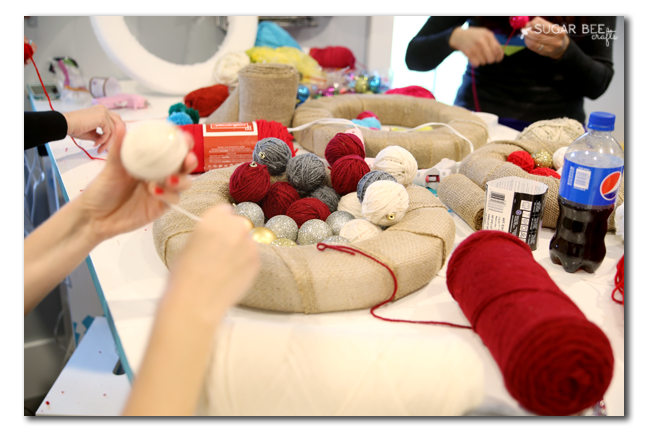 Here are a couple of different examples – one has mostly yarn balls with a few glitter ornaments. The other has a lot more ornaments to balance the yarn. Both ways are super cute. And you don’t have to fill the whole form – here are a couple of examples of focal point bunches – one with pom poms – again, both are super cute! After you have all the balls attached, you just tie a ribbon around it and that’s what you’ll hang it by. Easy peasy! 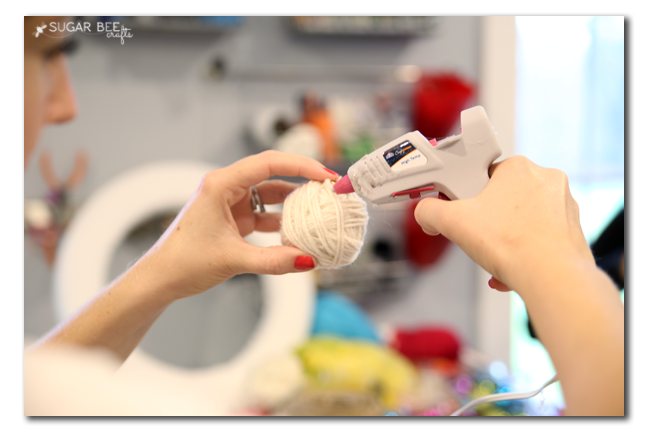 Grab those supplies and some friends and get to crafting!! That hot glue sounds amazing! 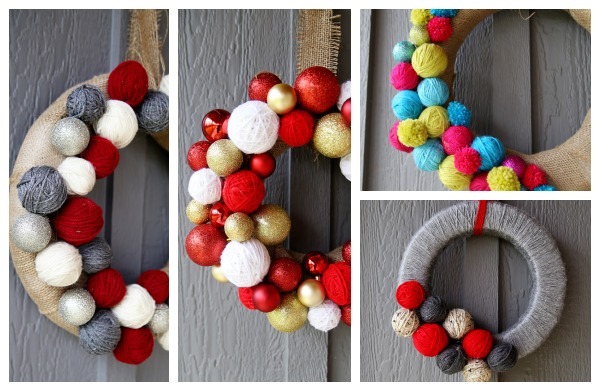 And those wreaths are gorgeous! 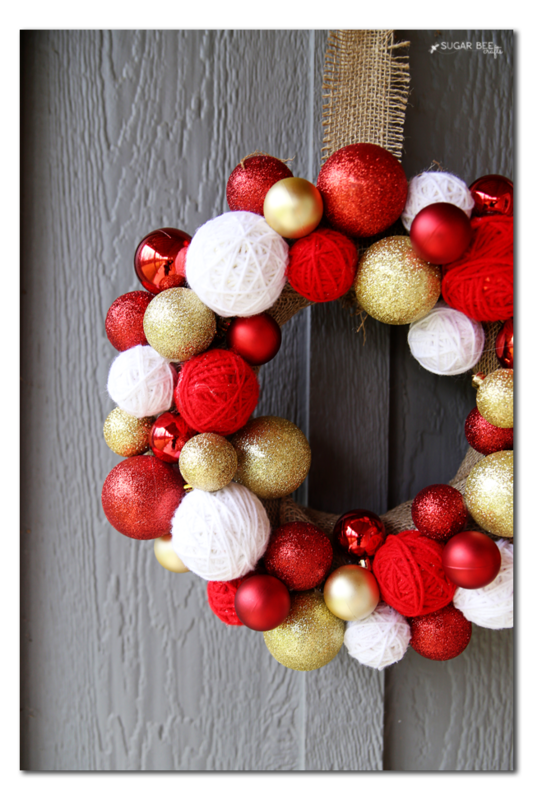 I am going to need a winter wreath after Christmas is over, and this is a great idea!